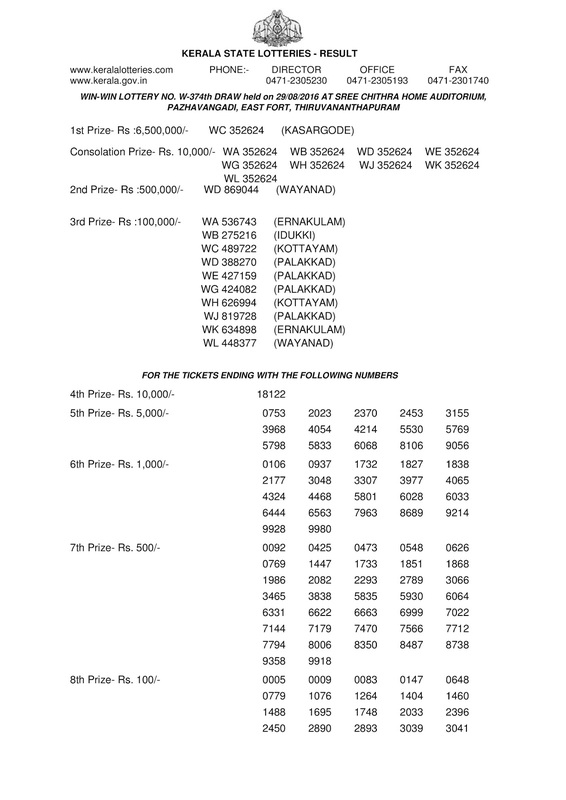 we are publishing more about keala lotteries , weekly kerala lotteryand monthely bumper lottery. 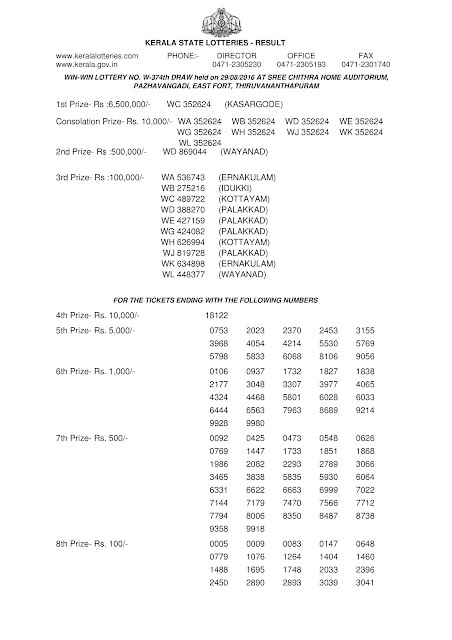 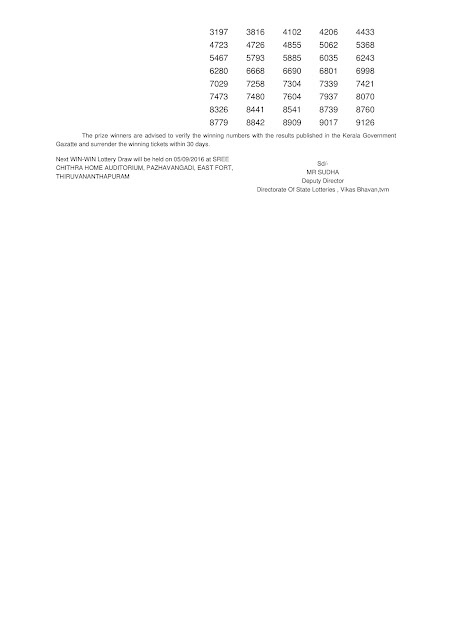 The numbers starting from 100000 to 999999. the prizes ar4e shown below. 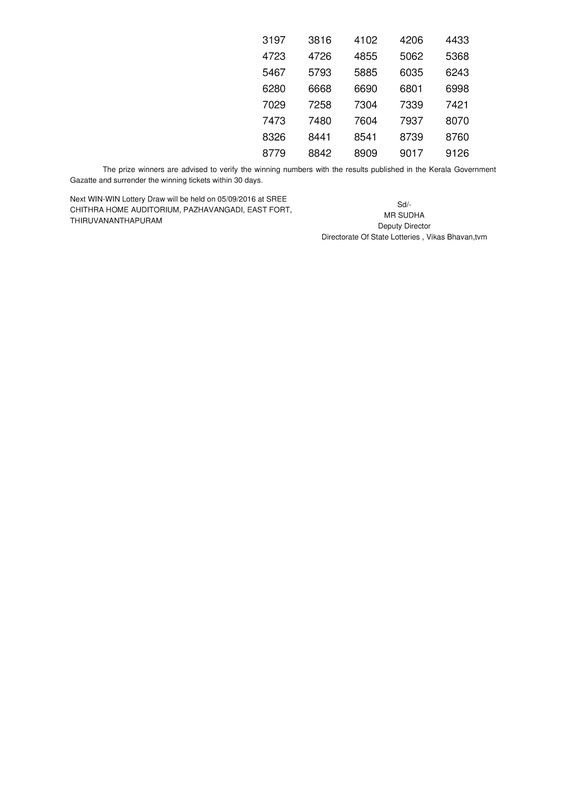 Today's kerala lottry result is win win .